California's coastal regulator is threatening to fine a billionaire investor millions of dollars for ignoring a court order to open a popular beach to the public. 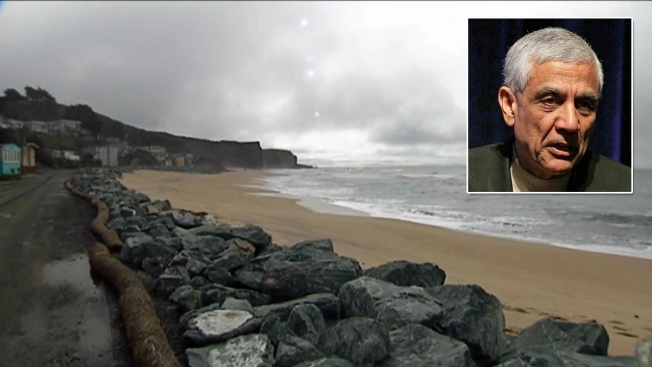 A San Francisco appeals court ruled in August that venture capitalist Vinod Khosla broke state law when he blocked the public from Martins Beach, south of Half Moon Bay. He bought a $32.5 million beachfront property there in 2008 about 30 miles south of San Francisco. On Tuesday, the California Coastal Commission released a cease-and-desist letter ordering Khosla to remove a locked gate and signs warning of no trespassing and beach closed. It also seeks to ban further development without a permit. An attorney for Khosla, Dori Yob Kilmer, declined to respond to the letter.